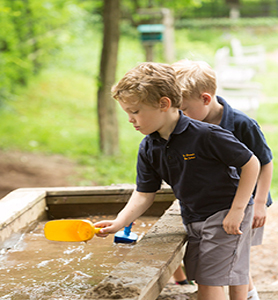 Character development is a key component of a St. Thomas’s Day School education. The School is best view in reflection of each student’s character- their appreciate for learning, their respect for near and distant neighbors and their ability to have fun. St. Thomas’s Day School is committed to enriching the moral lives of our students. Acknowledging parents and guardians as the primary moral leaders of their children, we work in close partnership to instill core values and virtues critical to success in life. Positive traits such as respect, trustworthiness, responsibility, fairness, integrity, and kindness are modeled, taught, expected, celebrated, and continuously practiced on a daily basis. Watch our video below to see more!